Covered Calls are one of the simplest and most effective strategies in options trading. The art and science of selling calls against stock involves understanding the true risks of the trade, as well as knowing what kind of outcomes you can have in the trade. Covered calls, also known as buy-writes, give you a way to reduce volatility in your portfolio as well as give you a better basis in your trades-- but you'll need to put the work in to figure out how to select the best stocks and the best options for this strategy. New to covered calls? This guide will get you up and running in under 15 minutes. Covered calls are a combination of a stock and option position. 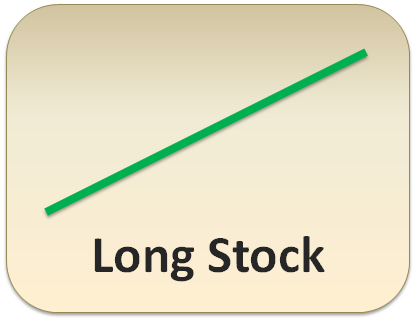 Specifically, it is long stock with a call sold against the stock, which "covers" the position. Covered calls are bullish on the stock and bearish volatility. Covered calls are a net option-selling position. This means you are assuming some risk in exchange for the premium available in the options market. This "risk" is that your long stock will be taken away from you by the call option buyer-- this is known as assignment risk. Covered calls are unlimited-risk, limited-reward. The unlimited risk is similar to owning stock, and the limited reward comes from the short call premium and the transactional gains you may have. In exchange for limiting your risk, you have better odds of profitability than a simple long stock play. The best way for new traders to truly understand covered calls is visually. Remember, in the options market you can both get long options and short options-- each with its own unique risk characteristic. Let's start off with 100 shares of stock-- this is pretty easy to represent. When a stock goes up you make money, and when it goes down you lose money. This is also on a 100:1 basis-- if a stock goes up $1, you make $100. In options terms, this gives us a delta of 100. The next part is the short call option that covers the stock. Because this is an option, it can get a little tricky because the delta (directional exposure) can change. But at options expiration it has very clear risk parameters. 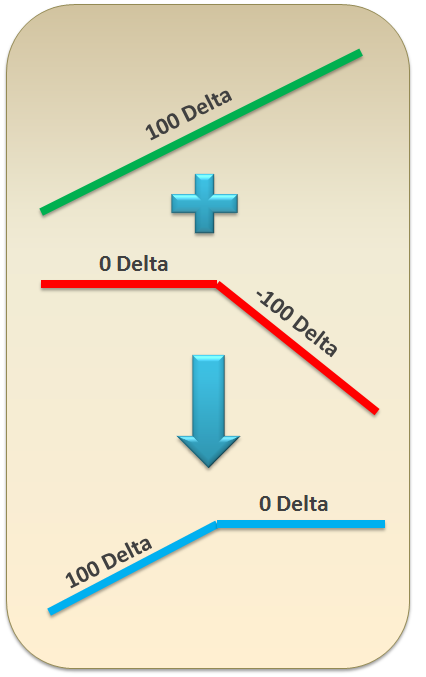 At expiration, if the short option is out of the money, it will have a delta of 0. If the option is in the money, it will have behave just like 100 shares of short stock. The cool thing about combinations in the options market is that they have aggregate risk-- that means you just have to add them together. Here's what a covered call looks like total. 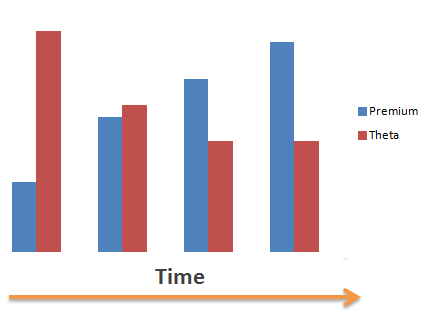 At expiration, if the stock is under the strike price, the position will behave like stock. And if the stock is above the strike price, the position will have no directional exposure. 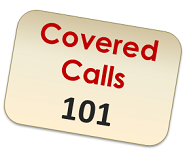 There are 2 big numbers you have to know if you get into a covered call position. 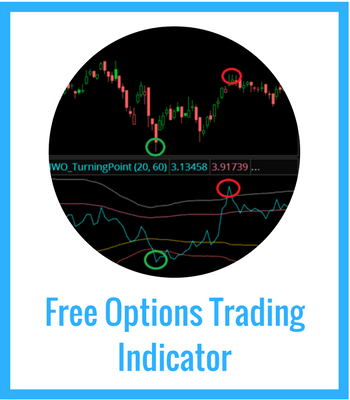 Keep in mind, there are a few different ways to do these calculations, but this is the best way because the formulas are inclusive for both in the money and out of the money options, and is the simplest to explain to new option traders. The main difference here is whether you are looking at the option strike or the cost of your stock trade as your transactional basis. There are "simpler" ways to calculate this, but this is the best for new option traders. The next calculation is the max return. Here we are looking at the maximum possible reward you can get out of the position. Keep this in mind-- if you are using an in-the-money option, the transactional value will be negative, but will be compensated for the total value amount. This is a workaround to deal with all options, regardless of "moneyness." To calculate the return on basis, simply divide the maximum return by the basis previously calculated. This will give you a percentage that will show you the maximum gains you can get in the position. The trade at expiration has two major possibilities, and three total potential outcomes. The first is if the stock closes above the call strike at expiration. 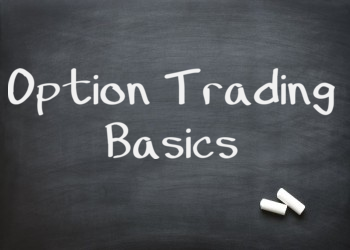 if that happens, you will be assigned on that option and required to sell 100 shares of stock to the option buyer. Since you already have the stock in your account, then you sell that stock. 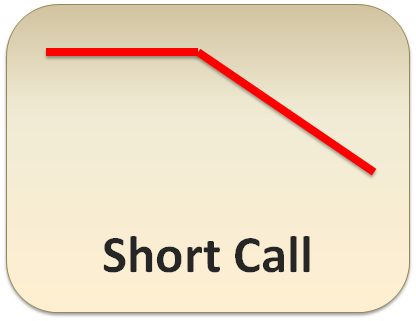 If you didn't have any stock, then you would end up being short 100 shares-- this is known as a "naked short call" and is not the same thing as a covered call. If the stock closes under the strike, then the call option expires worthless and you are left with just long stock at expiration. In this case there are two potential outcomes-- if the stock is trading above your basis then your are profitable, and if it is lower then you are in a drawdown. Covered calls are a great way to use options to generate income while trading. You are able to keep options premium against a long stock position that can help to reduce your basis in long term holdings. It also decreases the volatility of your positions as it reduces the directional exposure you will have. You shiould trade covered calls if you are bullish on the stock and bearish on the volatility, and don't mind having similar risk as if you were just long stock. If you think the stock is due for a huge move, you shouldn't trade covered calls. This is both to the upside and downside. If the stock is about to crash, then you don't need the large downside exposure-- and if the stock is about to rip higher, you don't want to cap your gains. Covered calls are a bearish volatility strategy. If you are bullish volatility, then you need to choose a different option trade. When selecting a covered call, there are two variables to consider: the time left to expiration, and the strike price of the option. Remember-- when trading options, there is always a tradeoff between risk, reward, and odds. If you go further out in time to do your covered call, you will be able to get more premium and a better basis on your position. But in exchange for that benefit you will have to wait much more for that premium to go away-- and it keeps more money at risk in the market. On the other hand, if you choose near term options, you will have a lot of theta (time decay) benefiting your position, but it will be less premium on an absolute basis, which means you will end up with more directional risk compared to a longer term covered call. 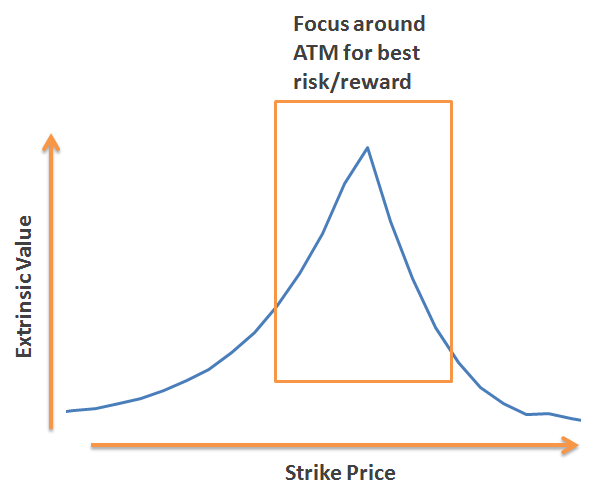 The main tradeoff with strike selection is related to your odds of success and the amount of premium available in the option. If you choose to sell a deep in the money call against your position, you will have a very high odds of profit-- but the profit won't be that big. Conversely, if you sell out of the money options, the transactional reward will be much higher and you can have a much better return on basis-- but that comes with additional directional risk in the position. There's no right or wrong answer here, it all comes down to your personal preference. What's the best way to trade covered calls? Think about why you are selling a call in the first place. You are looking to maximize your reward relative to the risks you are taking. To get the best rewards, you need to focus on the amount of premium you can sell. Generally, selling way OTM options or way ITM options don't make sense-- why? Because there isn't enough premium to justify the sale. So you should sell the fat middle. This allows me to be consistent in my option selection no matter what I'm trading. If this matches your trading style, consider adding it to your trading plan. Oh No! I could get assigned! Take a big deep breath-- this is a good thing! 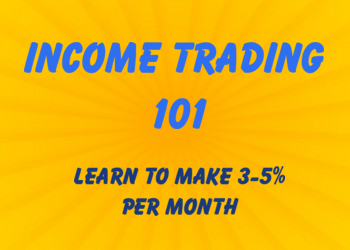 If you are assigned and your shares are called away, then you have maxed out your profit on the position! If you are worried about getting assigned, then you shouldn't be in covered calls in the first place. Also-- don't worry about getting assigned early. Except in very unique conditions, as long as there is extrinsic value in the option, then you will not get assigned. Hey, this option has fat premium, I should sell it! Bad idea. If the premium in an option is super-high, there usually is a reason. Earnings could be coming up, or maybe an FDA approval for a biotech company. If you're looking for candidates with very high premium, you may think you get a high reward, but there is often a very high risk associated with it. Even though the stock is lower, I'm still making "income" by selling these calls. This is probably the worst risk management technique you can use. You must include both realized and unrealized P/L to get a feel for how your overall position is doing. If you don't, then you will succumb to very bad behavioral finance tendencies, like letting your losers run too far, too fast.